Home › Blog › Think Spring! Think Spring! Here are some inspirational photos and commentary to get you focused on the warm weather ahead. 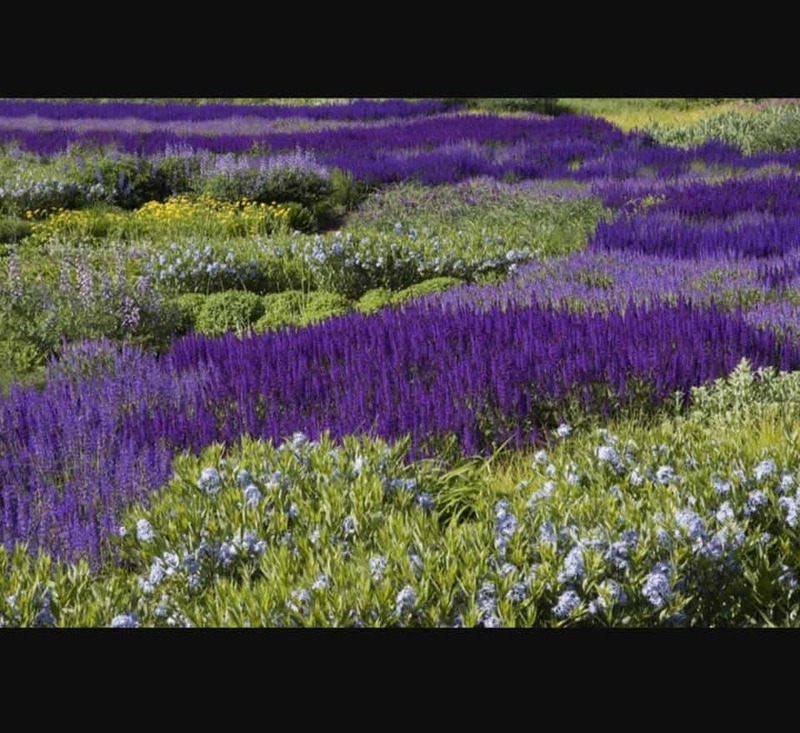 Planting in what we call “Drifts” creates dramatic pockets of color. We also like using large quantities of the same plant to create these pockets. Repetition is also a great way to strengthen the theme of your design. By repeating colors and textures throughout the property you are telling a visual story to the visitor. When people understand their environment and the story it is telling, they feel more comfortable and relaxed. 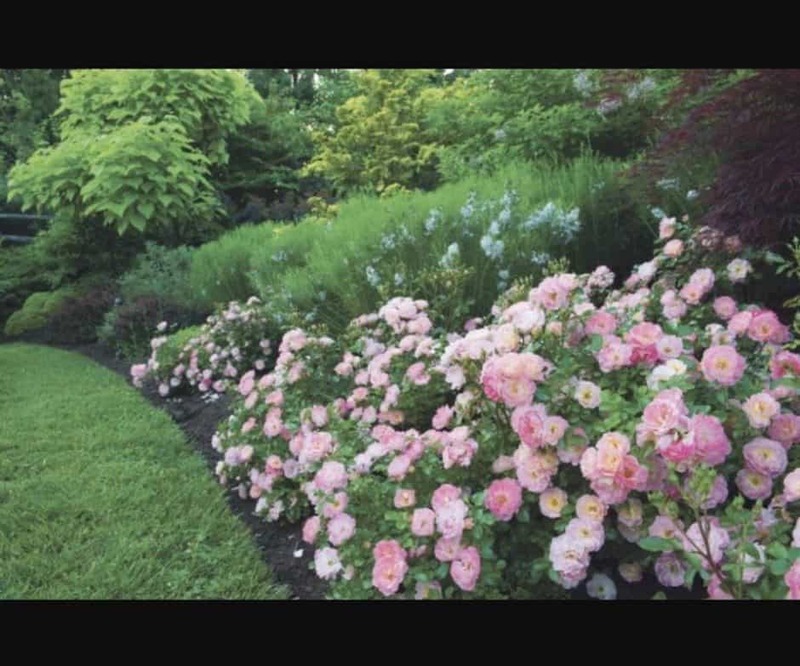 Green Island Design offers complimentary colors in their garden design. 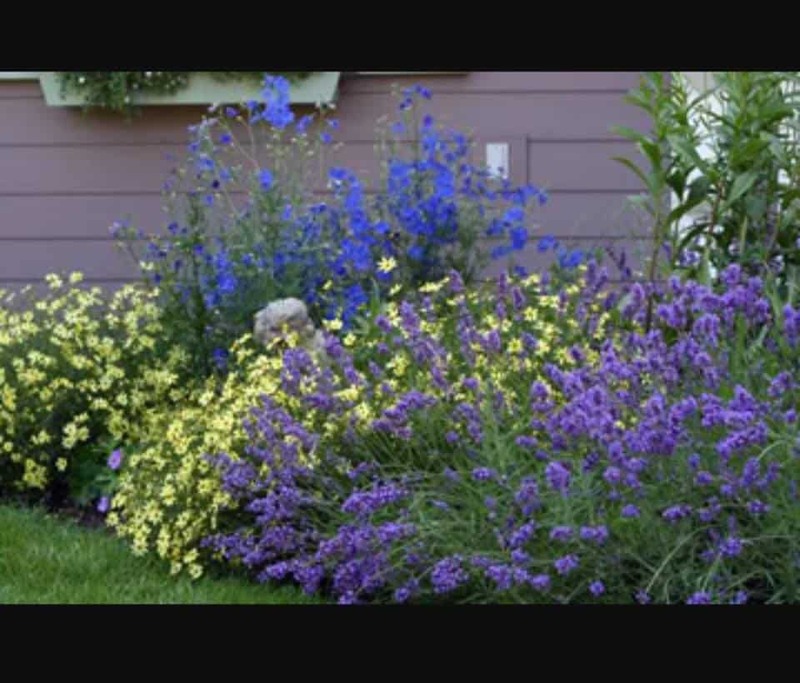 Shades of purple and blue are highlighted by the soft pale yellow flowers of Coreopsis Moonbeam. 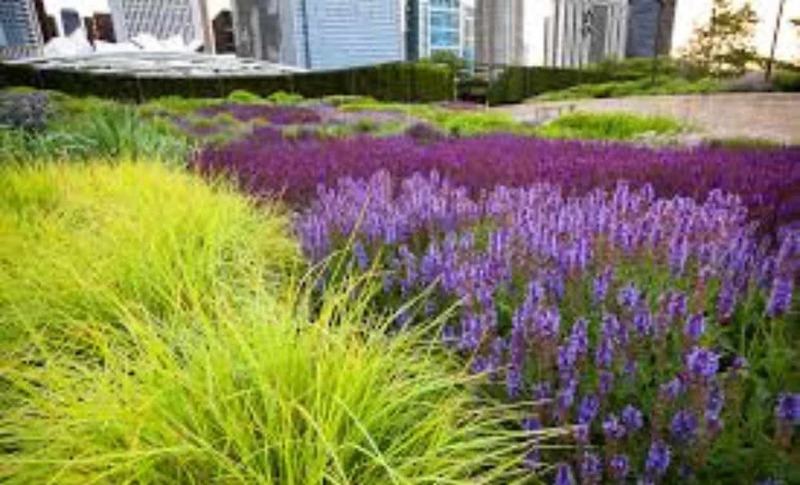 This design translates well as the perennials used are part of a playfully flowing environment. This is one of our favorites. A technique we call “Planting in Rivers” for obvious reasons. 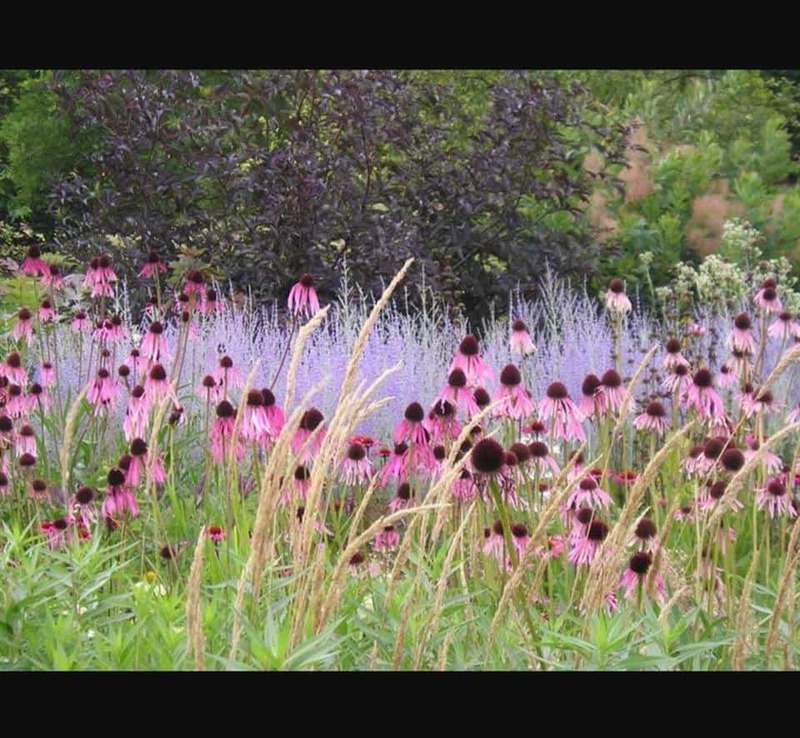 Echinacea and Perovskia play very nicely together as both yield to one another’s beauty. 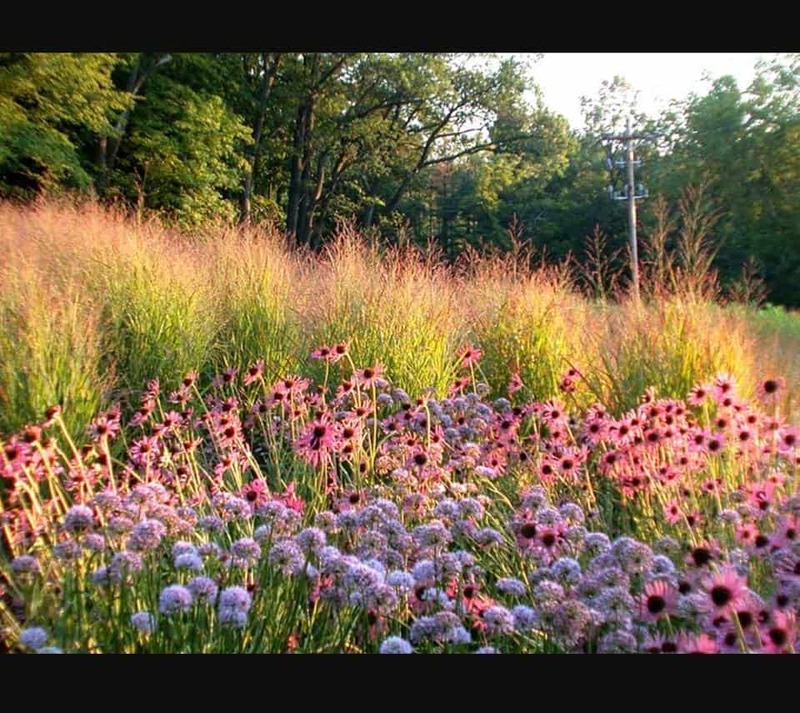 Allium (purple) graces this landscape providing whimsical pops of color into a sea of Echinacea (pink) with its lollipop like appearance. A soft backdrop of tall ornamental grasses adds strength and depth to the scene as well.